The militant group Islamic State (IS, formerly ISIS/ISIL) has published an as-yet-unverified video, purporting to show the staged gunshot executions of five alleged British infiltrators, accompanied by threats against the UK government and its citizens. The 11-minute clip, which has been leaked on social media, has the glossy production qualities and watermarks consistent with previous execution videos posted by the jihadist group. As its centerpiece, it features a narration from a man with British-Asian accent, reading out a scripted jeremiad directed towards Prime Minister David Cameron and the UK, which began to bomb IS positions inside Syria in the past month. The balaclava-clad man stands over the kneeling victims clad, who are wearing orange jumpsuits, as he accuses Cameron of being a “slave of the White House, and mule of the Jews” threatening IS with a “handful” of planes. 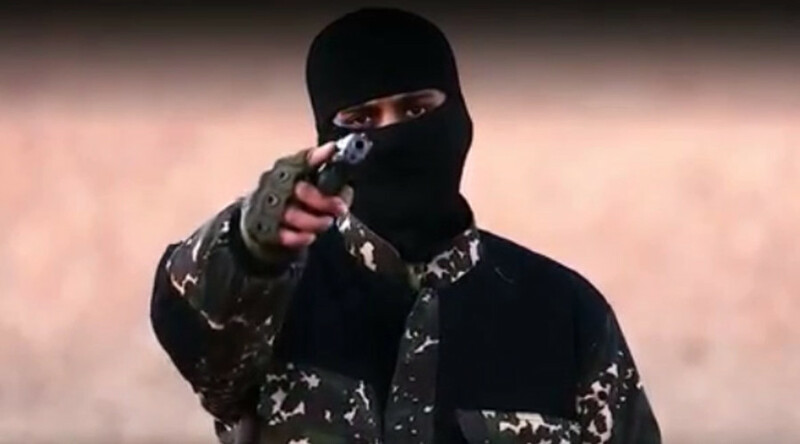 The unidentified executioner strains to emulate the style of Mohammed Emwazi, known as Jihadi John, who was reportedly killed last November by a drone strike. The speaker then says that IS will invade Britain, claiming that Cameron will do nothing to save those “fighting under his banner on minimum wages.” He illustrates his point by appearing to shoot one of the captives in the head, though with the edit it is unclear if it is he taking the fatal shot. Four other terrorists standing behind each of the hostages then simultaneously unload their guns into the victims. 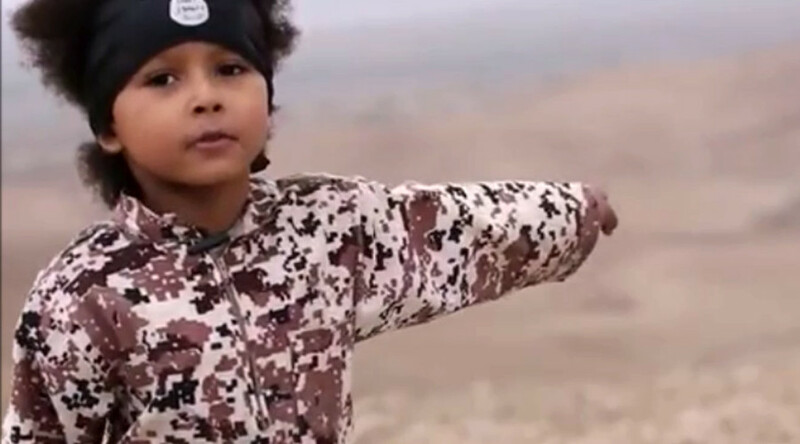 It ends with a small boy in an army uniform shouting “We will kill kuffir [infidels] over there,” and a promise of another video. As is revealed in stilted taped confessions at the start of the clip, two of the executed men say they discreetly filmed footage and took photos in Raqqa, the IS stronghold in northern Syria, which were subsequently shown in the Western media. The other three admit to being paid to provide information to intelligence services. All five men, who say they are between the ages of 25 and 40, call themselves apostates, and ask to be re-admitted into Islam. British intelligence says it is examining the authenticity of the tape, but will not comment on whether the featured victims ever worked undercover for the UK, as is its policy. It is also attempting to figure out the identity of the new executioner through electronic communications. They also will try to determine whether the child in the video is British, or a local coached to say a phrase in English. 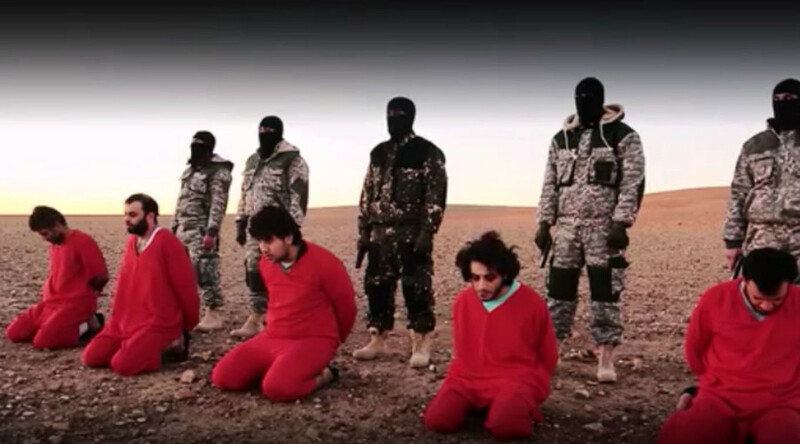 There are thought to be 300 UK citizens fighting in Islamic State’s ranks in the Middle East. Islamic State has been subject to a constant aerial barrage from two different international coalitions, one led by the US and Saudi Arabia, and another by Russia and Syria. It has also recently suffered territorial setbacks, as ground troops in Syria and Iraq have staged successful counter-offensives.